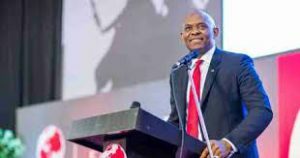 ABUJA – The Tony Elumelu Foundation opened the applications for the fifth cycle of its $100 million (UGX372.6 billion) entrepreneurship programme last week. Ugandans with innovative ideas and businesses can apply for the programme. The programme is open to other Africans. The Tony Elumelu Foundation Entrepreneurship Programme, popularly known as, TEF Entrepreneurship Programme, is open to citizens and legal residents of all African countries, who run for-profit businesses based in Africa that are no older than three years. The deadline for applications submission is March 1, 2019. It is one of the continent’s leading entrepreneurship programmes that seeks to empower young African entrepreneurs. It is a brainchild of Tony Elumelu, Nigeria’s billionaire and Chair United Bank for Africa. This is a 10-year commitment to identify, train, mentor and fund 10,000 African entrepreneurs with an aim of generating at least a million new jobs and create at least $10 billion in new business revenue across the continent. Each year, the Foundation selects about 1,000 entrepreneurs from different parts of Africa to undergo a 12-week intensive online training. Now in its 5th year, the TEF Entrepreneurship Programme has empowered 4,470 young African entrepreneurs, including Ugandans. Inspired by Tony Elumelu’s economic philosophy of ‘Africapitalism’ and his vision to institutionalise luck and democratise opportunity for a new generation of African entrepreneurs, the Foundation has implemented one of the most ambitious entrepreneurship programmes globally. According to the Foundation’s website, selected entrepreneurs from previous years have transformed their businesses and their communities. They receive $5,000 (UGX18.6 million) in seed capital, business development training, mentorship, access to a network of African entrepreneurs and can have a chance to participate at the annual TEF Entrepreneurship Forum, the largest convening of the African entrepreneurs. In a statement this week Mr. Elumelu called on policymakers, business leaders and development agencies to actively commit to creating a better future for young Africans who have demonstrated intellect, skill, and passion, to empower them to succeed. “The TEF Entrepreneurship Programme is by far the most impactful project of my life and represents my commitment to transforming Africa through entrepreneurship,” Mr. Elumelu said. The Foundation, which has recently hosted President Emmanuel Macron of France, President Uhuru Kenyatta of Kenya and President Nana Akufo-Addo of Ghana in dynamic interactive sessions with young African entrepreneurs, is committed to supporting the entire entrepreneurship ecosystem. Applications, made through www.tefconnect.com, will be judged based on criteria including feasibility, scalability and potential for growth of the product or service, market opportunity for the idea or business, financial understanding, leadership potential and entrepreneurial skills.